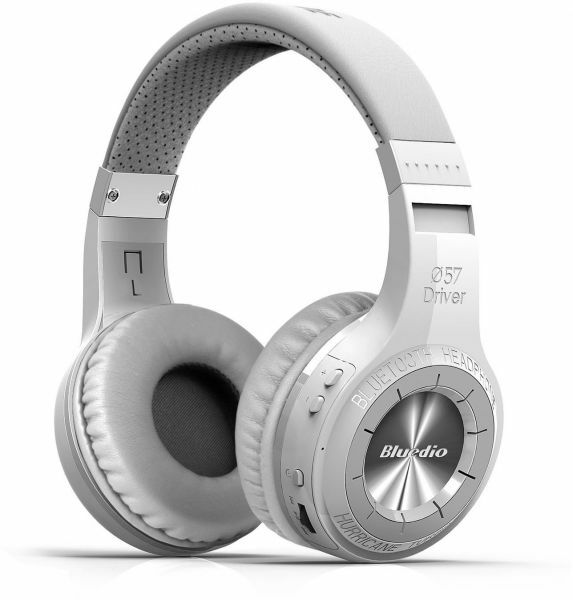 With the robust 72 MHTz and 16/32 bits high speed CPU of Bluetooth 4.1 operating system, the Bluedio Turbine Hurricane H boasts a long usage time of 40 hours of music, 45 hours talk time, and 1625 hours (approximately 67 days) standby time. Acoustic echo cancellation and noise reduction reduce ambient noise while speaking. Just plug in with an audio cable, you can listen to your favorite music tracks. The Hurricane H also has voice prompts in 4 languages (English, French, Spanish, and Chinese). Headset button function only used for bluetooth connection, cable connection button function is invalid.